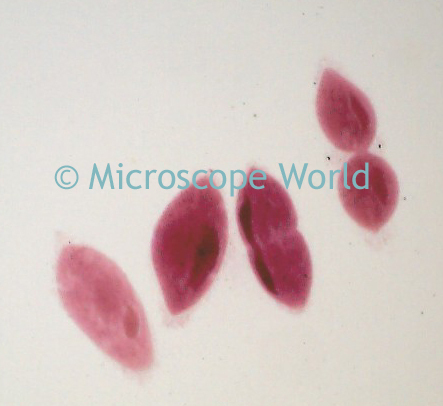 Paramecia are widespread in freshwater and marine environments, and can often be found in stagnant water and ponds. These species are easy to cultivate and divide and therefore the Paramecium has been used extensively in classrooms and labs to study biological processes. 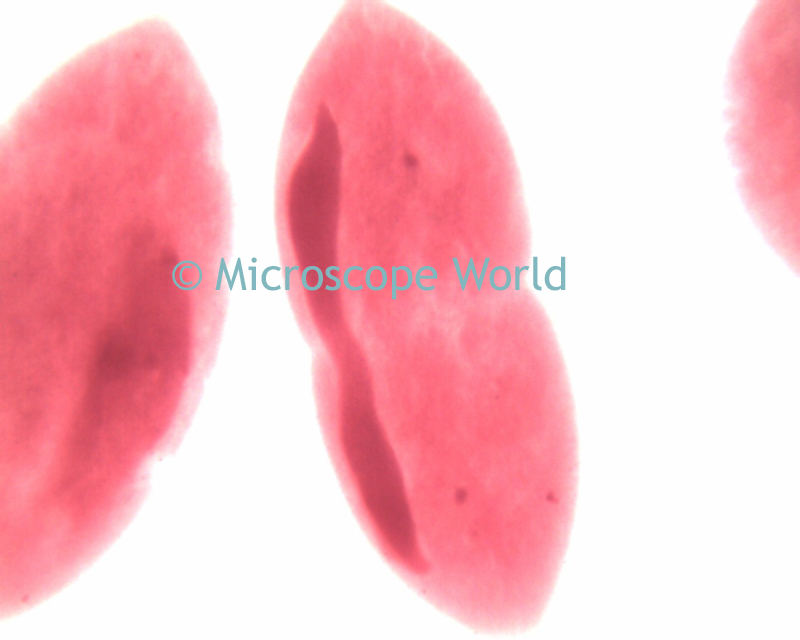 Paramecium fission captured under the MW2-HD2 digital student high school microscope. Paramecium range in size from 50-330 micrometers in length. Cells are usually elongated and the body of the cell is enclosed by a stiff but elastic membrane, uniformly covered in cilia which allow the organism to move in one direction. In all species there is a deep groove running from the anterior of the cell to its midpoint. This is lined with inconspicuous cilia which beat continuously, drawing food inside the cell. Paramecium fission captured with the MW4-HD2 digital University microscope. The question of whether Paramecia exhibit learning has long been a specific point of experimentation, yielding positive results. In an experiment published in 2006, the authors concluded that by using voltage as a reinforcement, Paramecium may indeed learn to discriminate between different brightness levels.